FCPA investigations can be tricky. Let our lawyers help you avoid prosecution. Foreign Corrupt Practices Act penalties can be very serious. This law was passed in 1977 largely to prevent U.S. corporations from bribing foreign officials. Specifically, the FCPA makes it illegal for any U.S. corporation or individual (and some foreign entities) to give money or anything of value to a foreign government official for the purpose of obtaining or retaining business for, or with, or directing business to, any person. The FCPA also has accounting requirements that require public companies to maintain records that show the company’s transactions. The FCPA applies to “issuers”, “domestic concerns”, and other defined persons. An “issuer” is generally a company that has securities traded or is otherwise required to submit filings with the SEC. A “domestic concern” is generally any company that resides in the U.S. or any individual who is a resident, national, or citizen of the U.S. The FCPA may also apply to foreign firms and individuals if certain territorial jurisdictional requirements are met. In fact, some of the most highly publicized FCPA cases involved foreign firms and individuals. The phrase “anything of value” encompasses many forms of payment including cash, cars, travel expenses, company shares, and even educational expenses. The phrase “obtain or retain business” is most often associated with government contracts; however, the statute prohibits a much wider range of business activities. The FCPA is enforced civilly by the Securities and Exchange Commission and criminally by the Department of Justice. How an investigation proceeds can differ greatly depending on whether the target is an individual or a corporation. FCPA investigations do not typically result in criminal charges being levied against a corporation. Instead, the government and the corporation will usually reach a settlement agreement before court action is taken. This is typically referred to as a non-prosecution agreement or a deferred prosecution agreement whereby the corporation admits to the violations and agrees to make changes to its policies and practices. If successfully completed, the charges against the corporation are dismissed. In regard to SEC investigations, a corporation typically settles a civil complaint filed by the SEC or resolves the case through an administrative order. Charges are more likely to be brought against an individual, and foreign corrupt practices act penalties can be severe. Under the FCPA, any officer, director, employee, or agent of an issuer or stockholder acting on behalf of such issuer, who willfully violates the anti-bribery provisions, are subject to fines up to $100,000 and five years in prison. Corporations are subject to fines up to $2 million. It should be noted that willful violations of the FCPA’s accounting requirements subject individuals to fines of $5 million and 20 years in prison. Corporations may face fines up to $25 million. The FCPA provides for one exception. The statute provides that the anti-bribery provisions do not apply to any facilitating or expediting payment to a foreign official, political party, or a party official the purpose of which is to expedite or to secure the performance of a routine governmental action by a foreign official, political party, or party official. The FCPA also provides for two affirmative defenses. First, it is an affirmative defense if the payments were lawful under the written laws of the foreign official’s country. Second, it is an affirmative defense if the payment was a reasonable and bonafide expenditure, such as travel and lodging expenses, incurred by or on behalf of the foreign official and was directly related to the promotion, demonstration, or explanation of products or services or the execution or performance of a contract with a foreign government or agency thereof. In addition to these affirmative defenses, an individual charged with an FCPA violation may have numerous other defenses that could be raised at trial. For instance, an individual may have no knowledge that there was a payment or the payment may have been made in good faith. In other cases, the “government official” may not have been a government official for purposes of the statue. The most effective defense will depend on the unique set of facts for each case. The information provided above is a very general summary of the FCA and Foreign Corrupt Practice Act penalties at the time this text was prepared. Because this analysis is subject to change depending upon recent cases and legal developments, you should not rely on this summary as legal advice. 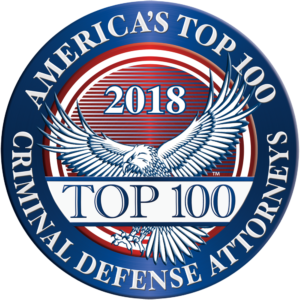 As with any important legal question, you should always consult a federal criminal attorney experienced in federal criminal defense and licensed to practice in your jurisdiction. 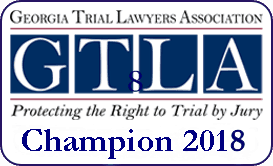 Our federal criminal lawyers are licensed to practice in all federal and state courts in Georgia and have been admitted to many other federal district courts across the country.